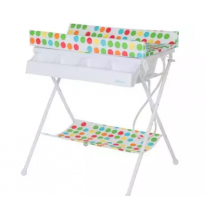 A changing unit or cot top changer makes life so much easier - saves your back, and helps you be more organised. We're here to help take the stress out of changing time and help you choose. 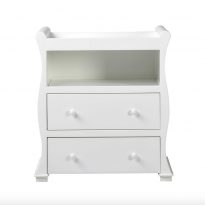 With handy shelves, drawers and/or cupboards for nappies and all the essentials, and some even with built-in baths. 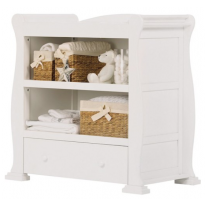 Changing unit style options are endless, from classic white wood to brightly coloured changers. With so many fab features there's something for everyone! Is space an issue? Check out some cot-top changers which transform your cot into a changing unit too.